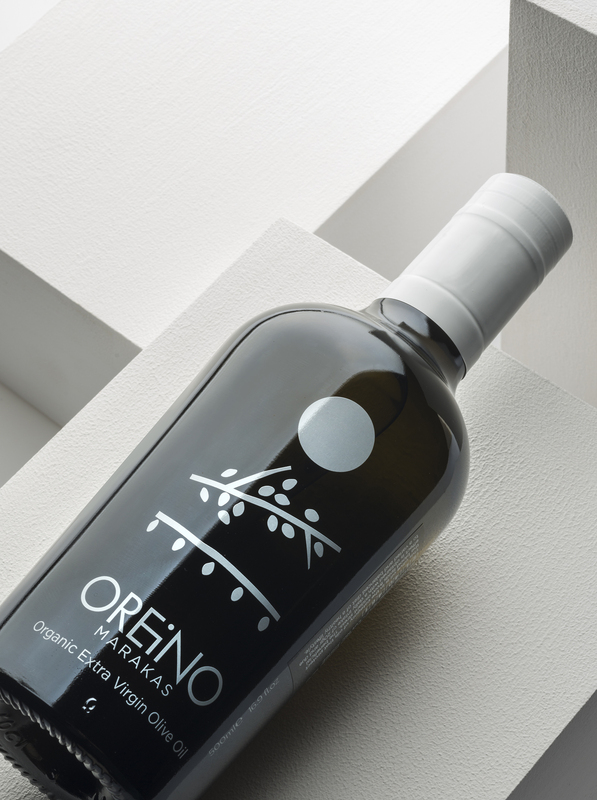 Origin, quality and particularity were the inspiration for the identity of this extra virgin olive oil. 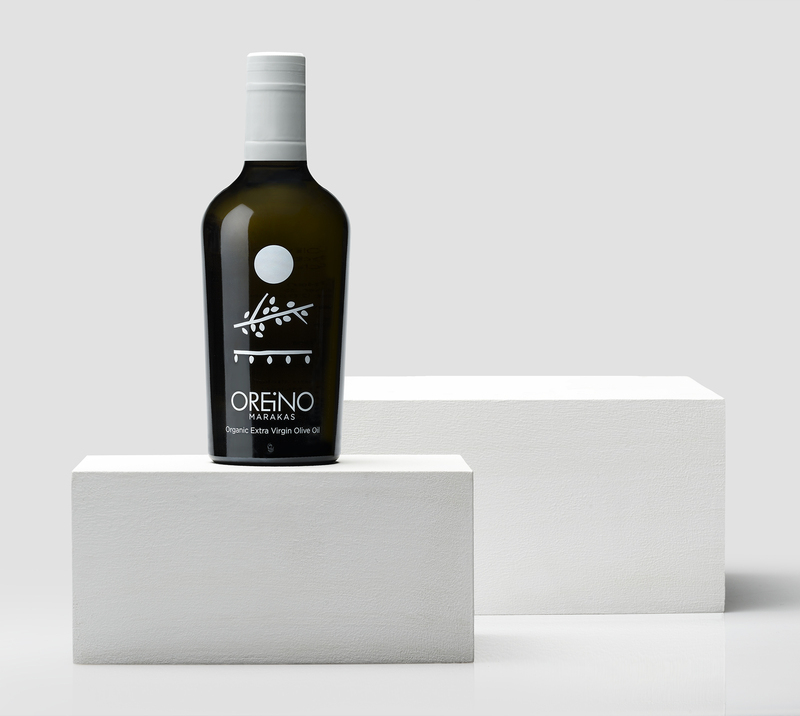 Oreino is produced from olives growing in the groves of Cretan highlands. 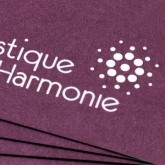 The name, meaning ‘mountainous’ in Greek, is the first hint of the product’s character. 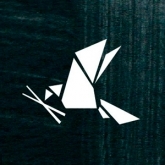 The logo, a minimal clear typographic interpretation of the name, is the canvas on which the bottle concept will unfold. 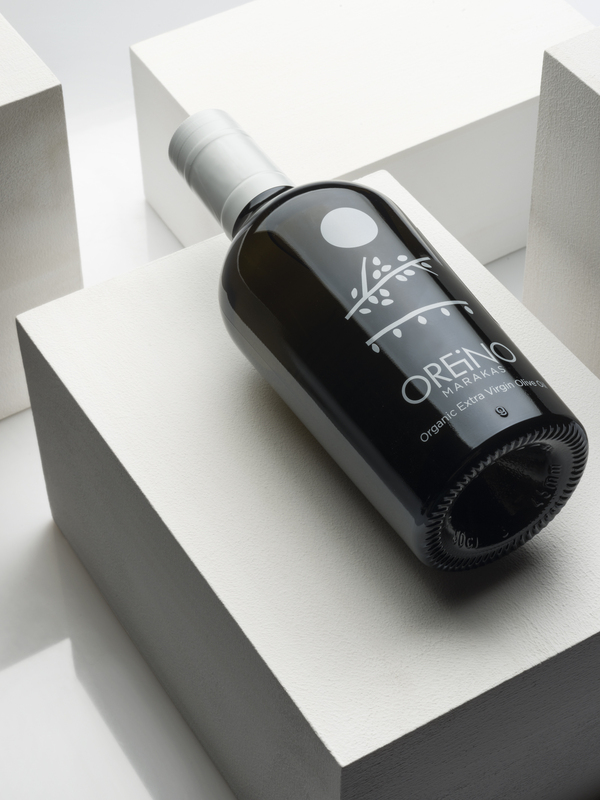 The Oreino bottle features the 3 elements that mark the product’s uniqueness. The sun, the life force under which the olive tree bears its fruits. The olive tree, depicted through a branch. The traditional head scarf of the Cretan men, celebrating the land of its production. The fringes of the scarf resemble the leaves of the designed olive tree branch. Silk-screen printing directly on the bottle adds flow to the artwork and suggests the actual interaction between these three elements.